The doctrine of the União do Vegetal is based on the existence of the spirit, which evolves throughout successive reincarnations. Mestre Gabriel, with his teachings, recognized Jesus as the Savior of humanity, “the true Man, the son of God.” The UDV transmits teachings orally and brings, in essence, the same teachings of Jesus. Orienting towards spiritual evolution, the União do Vegetal teaches about reincarnation. The spirit has the mission to evolve in order to arrive at God and religions exist to show the path of rectitude. “The path of God is clean,” said the Mestre. 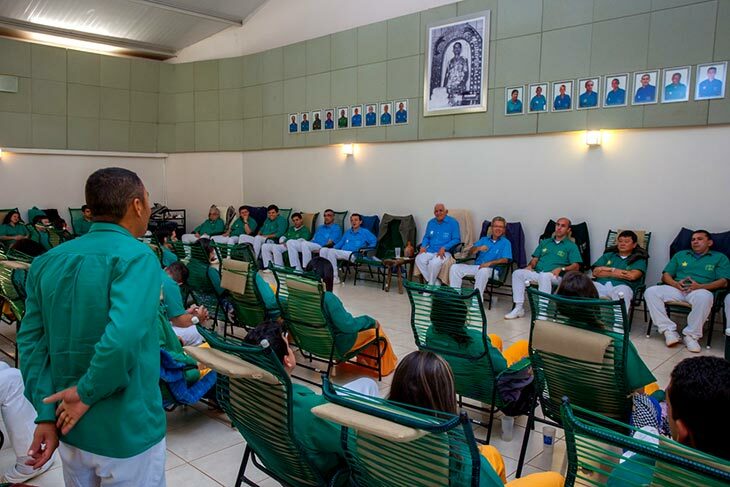 To guide the spiritual journey, the doctrine of the UDV is made up of teachings, chamadas (literally “calls”, chants), stories and explanations, connected with Jesus and others recognized by Mestre Gabriel as detachments of God, who came to the world to complete a mission. Some examples include biblical characters such as Adam, Job, Noah, Saint Anne, John the Baptist, Cosmo and Damian. The doctrine also mentions the entities Iansã and Janaína, among others. During the sessions of the UDV, from the disciples’ questions, the mestres bring the teachings, words and examples of Jesus in a simple way, as Mestre Gabriel explained them. The guidance provided conducts the associates to improve their moral and intellectual virtues.